S0, the solubility of the undissociated species (base), is determined at high pH, and S is determined at several different lower pH values. A plot of log[S0/(S - S0)] versus pH will have the pKa as the intercept on the pH axis. Plotting data as in Fig. 5.4(b) yields S0 when the line crosses the x-axis as [H+] = 0 (and S = S0). The intercept on the y-axis gives Ka and the slope of the line is Ka/S0. where A U is the molar energy and AH is the molar heat of vaporisation of the solvent. A H is determined by calorimetry at temperatures below the boiling point at constant volume. V is the molar volume of the solvent. 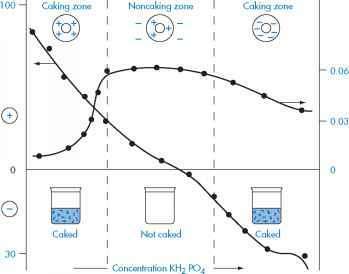 The solubility parameter is thus a measure of the intermolecular forces within the solvent and gives us information on the ability of the liquid to act as a solvent. Table 5.11 gives the solubility parameters of some common solvents calculated using equation (5.26).